You must have thought I died. Naaa, I'm very alive over here. Between the extensive home remodels and forcing myself to explore and stretch myself creatively, I've been a busy girl. For me painting is a spiritual experience; what connects me to my Creator. My goal is to find what I was created to create. A journey I feel privileged to experience. So honing, exploring and feeling those deep emotions that go along with the ride are where I've been for many months now. That's my abstract painting named "SHUT. THE. FRONT. DOOR."... what my daughter, Jennifer Storey, said when she first saw it. When a favorite family member has that kind reaction the title comes easy. 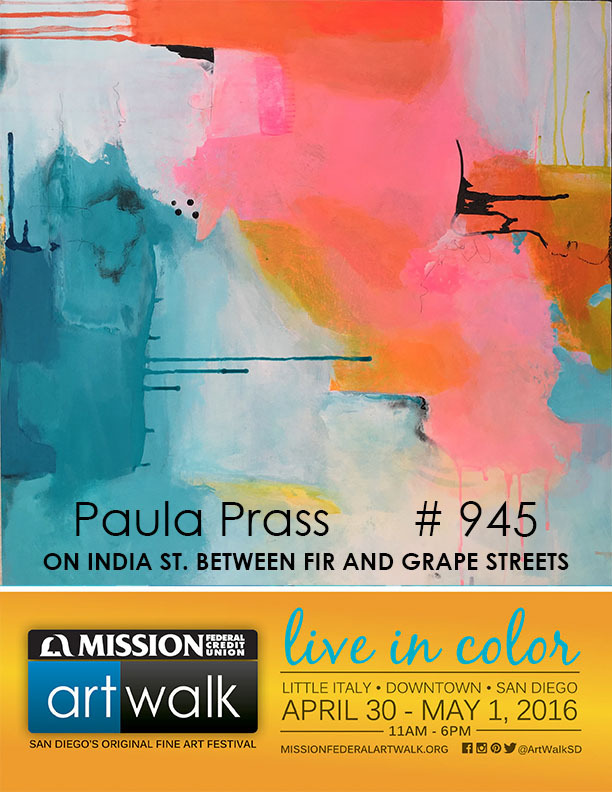 If you are in the San Diego area and planning to attend ArtWalk, I'd sure love for you to pop in and introduce yourself. Remember #945. And lately I've been more frequent on Etsy and Instagram, so please follow me there for my latest creations.